China’s office market is continuing to expand, evolve and mature. 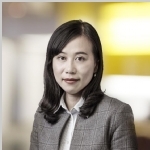 Savills recently published Working Harder, Working Smarter | China Office Market Report. Focusing on the demand side, the report analyses market conditions and mainstream trends, and highlights hot markets that either outperform or are at an inflexion point. As a main driving force for China’s office market, the financial industry accounts for the majority of office space demand in almost all Chinese cities, with an average proportion of 34% in first-tier cities. Emerging financial sectors, particularly fintech and peer-to-peer (P2P) companies face stricter regulations, given the instability of these types of tenants. However, as China is accelerating its opening up and reforms in financial sector while also looking to professionalise and regulate the asset management industry, demand for office space from this sector is expected to recover soon after. While the IT sector contributed 3.9% of China’s GDP in 2018, its growth has remained in the double digits over the last three years. 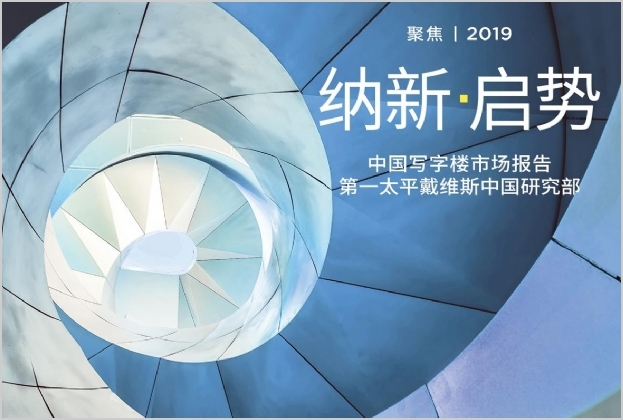 The explosive growth of the sector will continue to translate into an increasing portion of office demand, especially in IT-sector clusters such as Beijing’s Zhongguancun, Shanghai’s Zhangjiang and Wuhan’s Optics Valley. Shanghai and Beijing were the two biggest markets in terms of number of co-working locations, accounting for 33% and 32%, respectively, of the total market share in 2018. As market consolidation continues, the discussion is no longer about the excitement of new openings but concerns about market health. Co-working is a sector that generates short-term revenues under long-term liabilities, so how to strengthen leases? How to make a profit during a downturn? Since the official announcement of the formation of the Greater Bay Area (GBA) in 2017, local economies and the development of urban infrastructure have accelerated significantly. Taking advantage of the master planning, both domestic and overseas investors have been increasing their interest in real estate investment opportunities. Office markets in the two cities witnessed robust demand resulting in decreasing vacancy rates (-4.3 ppts for Guangzhou and -0.7 ppts for Shenzhen in 2018). More affordable renting and living costs compared to the peer cities of Beijing and Shanghai are also attracting companies. As one of the three national central cities in Western China, Chengdu has a strong modern service economy including financial services and a high-tech industry. The city’s high-tech industry has flourished and has become an important component of Grade A offices’ tenant mix. The proportion of high-tech companies in the total Grade A office space increased from 4% in 2013 to 16% in 2018. Co-working is another segment that helps absorb large office space in the city. Besides local operators’ expansion, Chengdu is a priority for many domestic operators as the first entry point to expand businesses in second-tier cities. Technology is changing our daily life, while the combination of property and technology has helped China’s real estate market enter a new phase. New technologies include face-recognition technology, smart lighting, air quality monitoring, drone security and unmanned cleaning to extract better cost and energy savings, custom-made mobile applications for tenants, staff and suppliers to improve communications and Building Information Modelling (BIM) to better manage properties. By tracking rents and management fees of benchmark office buildings in key cities, we found that management fees in cities like Shanghai and Beijing grew faster than rental growths. Even in projects where rents were decreasing, management fees continue to rise. As markets become more competitive—more recently from co-working—property management is also a way to differentiate developments. The China office market is faced with a number of challenges. Increasing demands on workspaces force landlords to adopt new strategies. Traditional landlords should evaluate tenants’ qualifications and focus on diversifying away from P2P industry-specific risk if they want to be stable in the long term. Besides, while co-working is an opportunity for landlords, more flexible lease contract terms also mean higher tenant turnover and company diversification. In markets where tenants have the upper hand, companies occupying older buildings should take the opportunity to upgrade their office premises to a newer workplace but with lower costs. They could also employ professional intermediary institutions to get the most suitable and cost-effective solutions as more supply and subsequently rental options become available.